I’ve been going on a Tomica spree. This one is just another added to my collection. 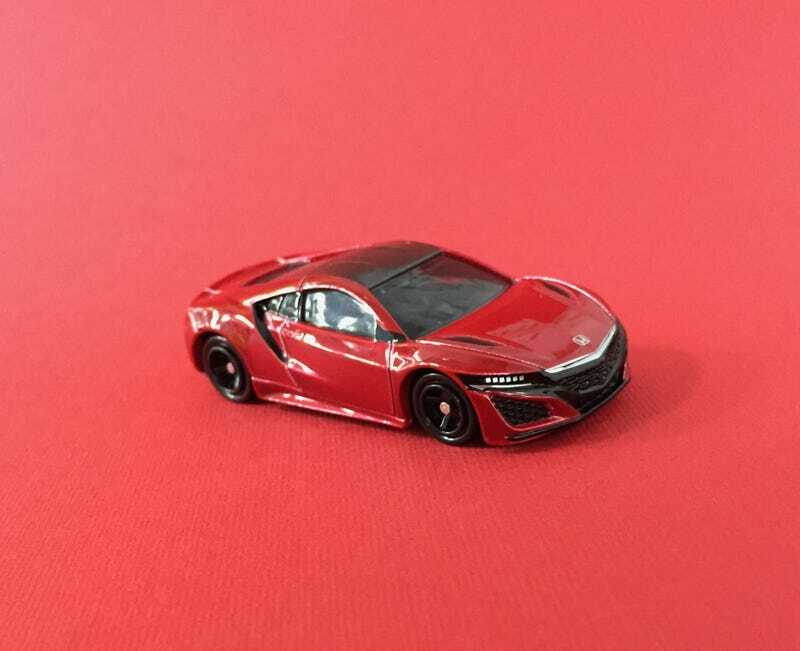 It’s the new Honda NSX. I couldn’t find the ‘limited edition’ white one, so this red had to do. It’s not too bad. Love the tampos and detailing. Note how Tomica made an effort to mould in the rear side marker lights (the little triangle just behind the top of the rear wheel arch)! Amazing eye for detail! A little photo op with the Hot Wheels version. Both are good looking in their own way. Not gonna complain. Both are well done by the respective toy makers. Thanks for viewing, till next time... Sayonara!